For pig farmers, Porcine Reproductive and Respiratory Syndrome is a disaster. Once dubbed the “mystery swine disease,” it emerged in the late 1980's on farms in Europe and the US and spread rapidly, causing piglets to die and adult pigs to be afflicted with fever, lethargy, and respiratory distress. It is a major problem facing pig farmers, costing the industry billions each year. 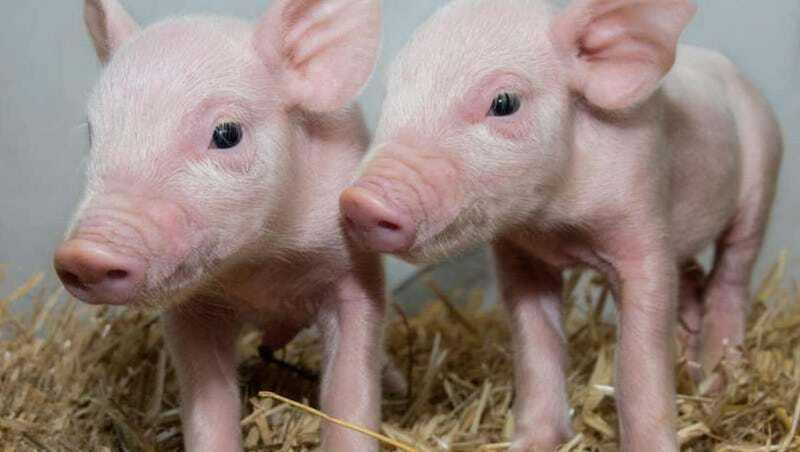 Now the same research organization that brought us Dolly the sheep thinks it may have a solution: Scientists at University of Edinburgh’s Roslin Institute have genetically engineered pigs to be resistant to the virus that causes the disease. In a new paper published in PLOS Pathogens, the scientists reported that they used the genetic engineering technique CRISPR-Cas9 to delete a small slice of one particular gene that previous studies have shown plays a key role in enabling the PRRS virus to establish an infection. The edits were made early in the embryonic stage, removing the bit of gene in a laboratory while the piglets were still merely zygotes then implanting the embryos into mother pigs. Litters of healthy piglets with that genetic tweak have since been born, and some have even gone on to have their own litters with the inherited edit. Early tests found that cells from the pigs were entirely resistant to infection from both major strains of the virus. The next step will be to test whether the pigs themselves are resistant to infection when actually exposed to the virus. The study builds on earlier research that has showed pigs that entirely lack a protein called CD163 do not become ill when exposed to the PRRS virus. CD163 exists on the surface of immune cells called macrophages, and its presence seems to help PRRS take hold in a pig’s body and spread. So the Roslin Institute researchers simply deleted a portion of the CD163 gene. So far, it has not shown any signs of adversely affecting the pigs. In both the US and Europe, regulations and attitudes toward GMOs could make it hard to make such pigs commercially available. But if it works, the super pigs are sure to be in demand among both pig farmers and lovers of bacon.